With Everett, business is anything but usual, redefining the Real Estate experience. A San Diego native, Everett specializes in serving the needs of individuals and families throughout San Diego County. He has experience working with buyers and sellers of all demographics. His superior level of service offers his clients guidance for a stress free experience. Everett earned his bachelor’s degree in Comparative Literature from San Diego State University, and studied Economics at BIOLA University in Orange County. 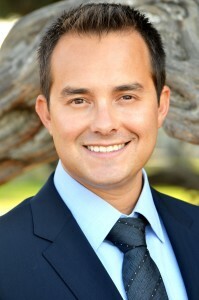 He has been serving the needs of Southern California real estate buyers, sellers and investors since 2006. His knowledge of the national and local real estate markets allows him to help his clients make the most informed decisions possible for themselves and their families. Diamond Award – Top 5 producing teams in the La Jolla Berkshire Hathaway office. Chairmans Circle Platinum – Top 12 teams for Berkshire Hathaway in San Diego. Everett is an active member of the community, volunteering his time coaching Little League Baseball at Clairemont Hilltoppers. He also competes in triathlon while training with Team in Training, part of the Leukemia & Lymphoma Society, helping raise money to find a cure for cancer. Everett enjoys good food, good books, and baseball, but mostly spending time with his beautiful wife Reina, and their three wonderful children, Cailin, Ezekiel, and Isabella, as well as their family mascot, Seven the wonder dog.